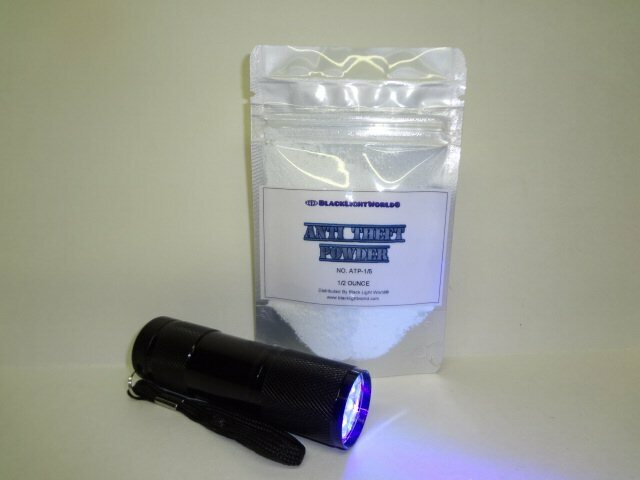 Our Anti Theft Powder glows bright blue only under uv black light and is invisible. 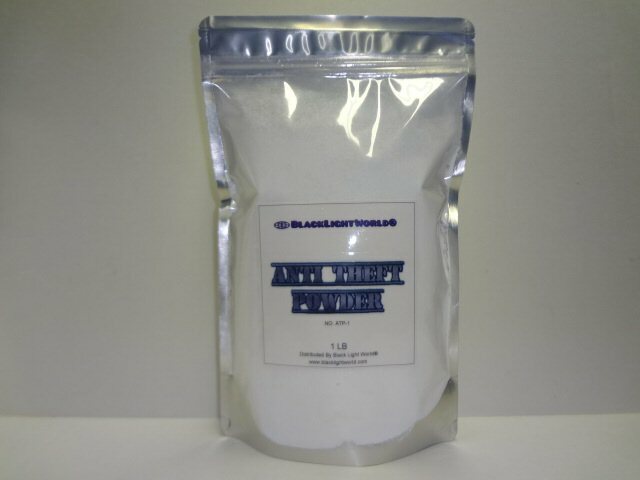 Lightly dusting powder makes it impossible to see. 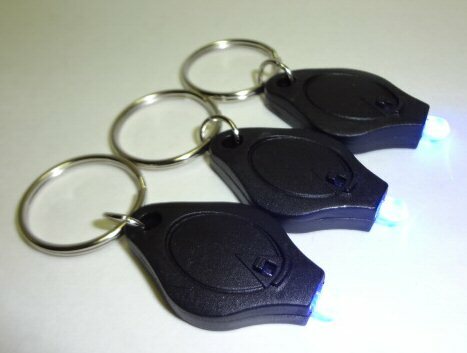 Includes Invisible 1/2 oz Anti Theft Powder, Brush, & 9 Led Black Light. 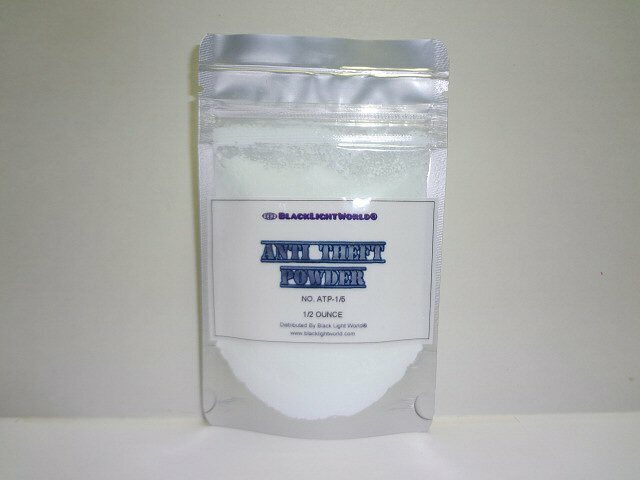 STOP THIEF POWDER is a dry fine milled white powder. 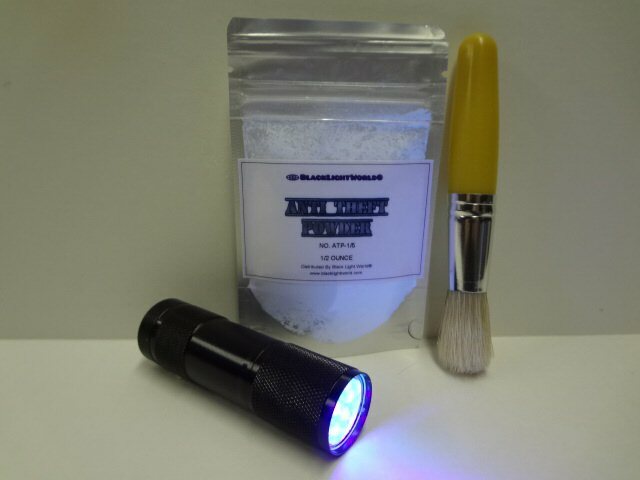 When powder is applied and contact is made powder glows an intense blue under black light. 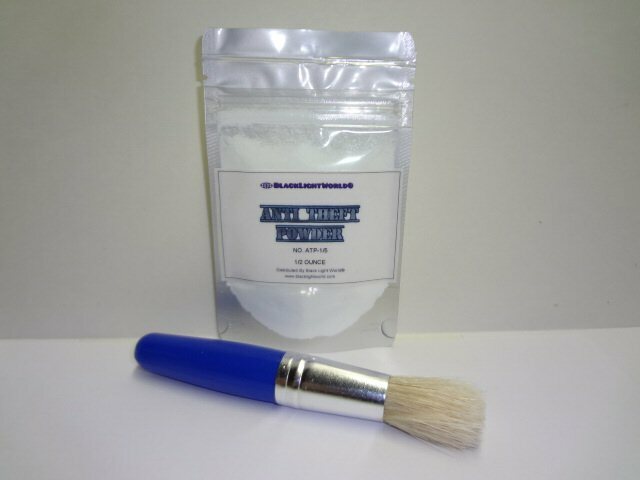 Totally dry application, easy to use. Great way to catch a thief. 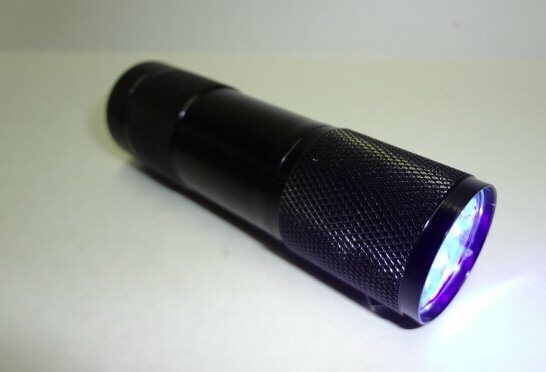 Requires black light for viewing. 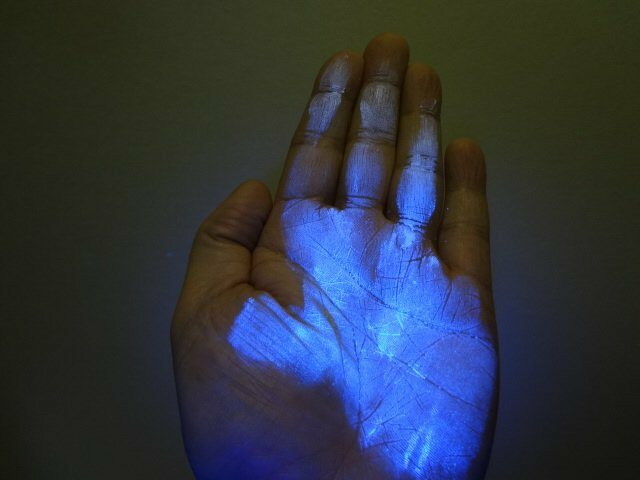 Follow all SDS precautions when using this or any other products.